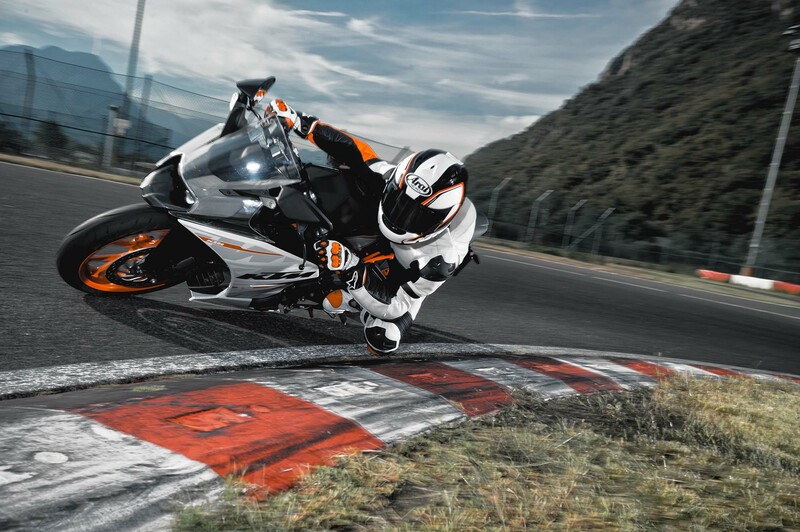 Even though the 2014 KTM RC390 leaked ahead of its EICMA debut, the KTM stand at the Fieramilano was packed full of attendees who were eager to get a glimpse of the single-cylinder sport bike from Austria. 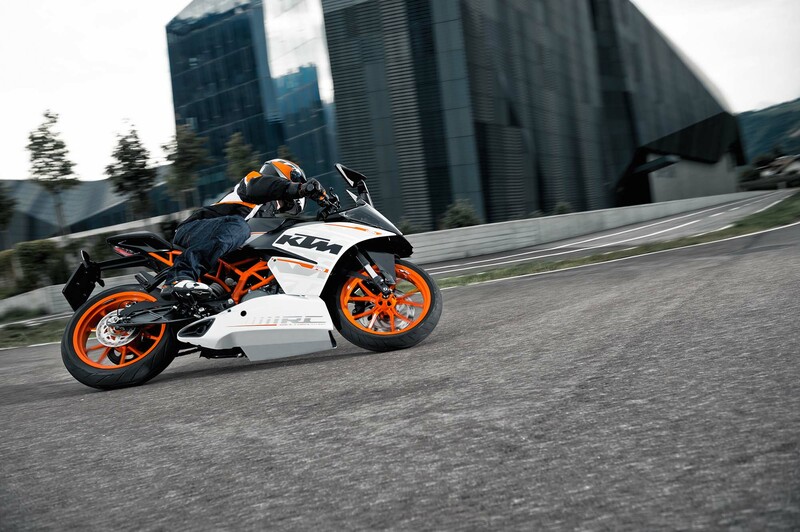 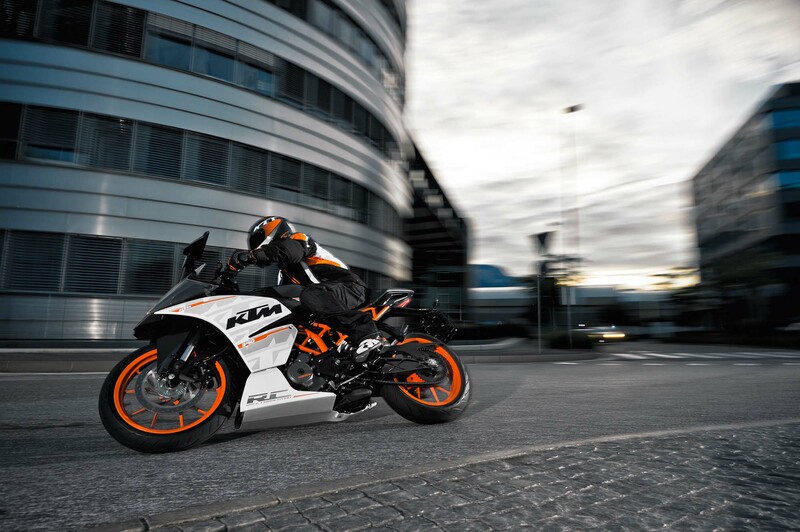 The logical progression from the KTM 390 Duke, the RC390 shares many of its brethren’s features and specifications, though has a uniqueness all of its own. 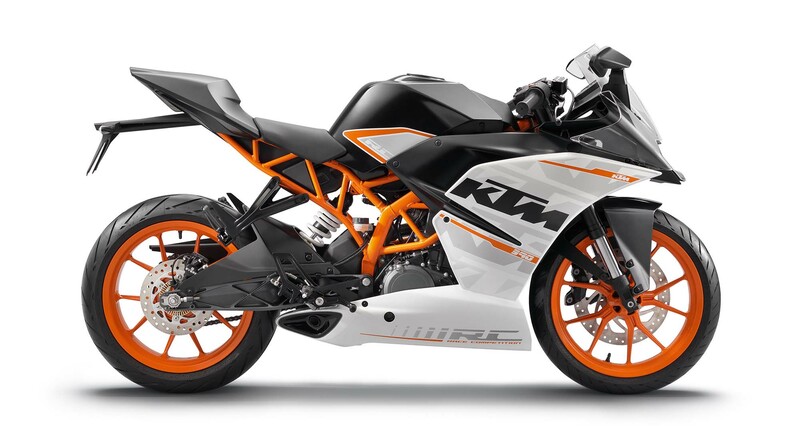 Making 43hp from its 373cc thumper, the KTM RC390 is a tiny but stout machine, especially when you consider its 324 lbs wet weight (sans fuel in its 2.64 gallon tank). 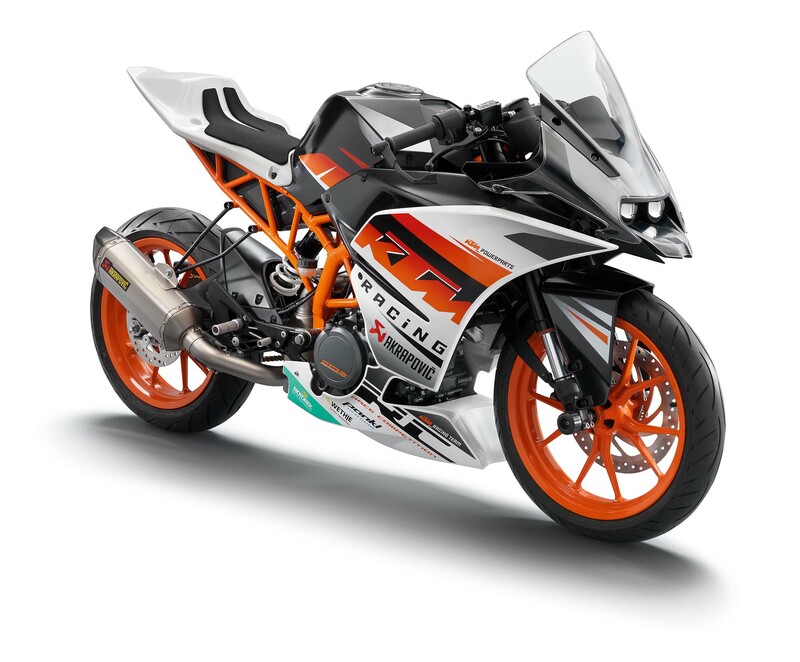 Fitted with ABS brakes, braking is done at the front via a radially mounted caliper and 300mm single-brake disc, while a 230mm disc is fitted to the rear. 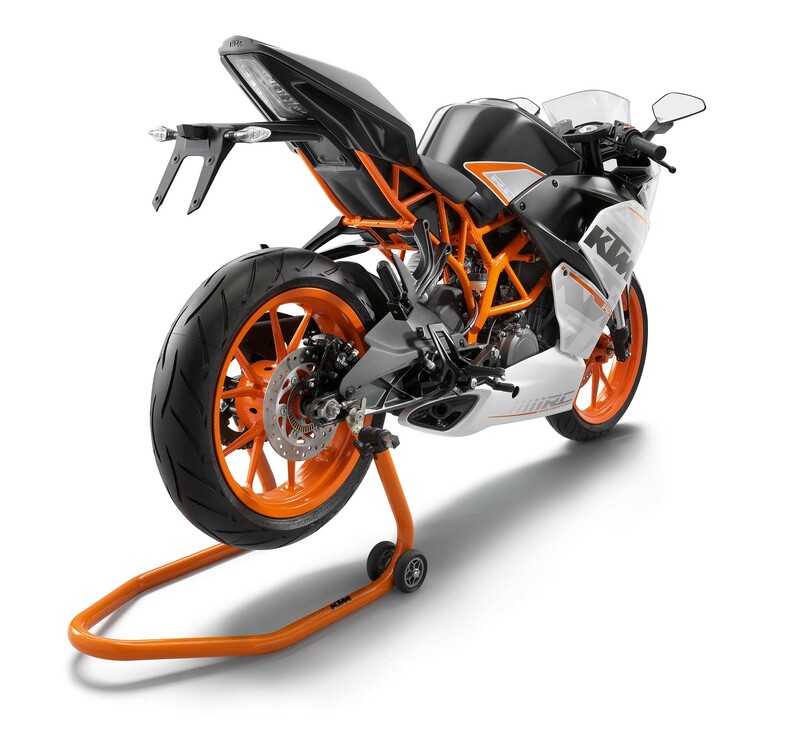 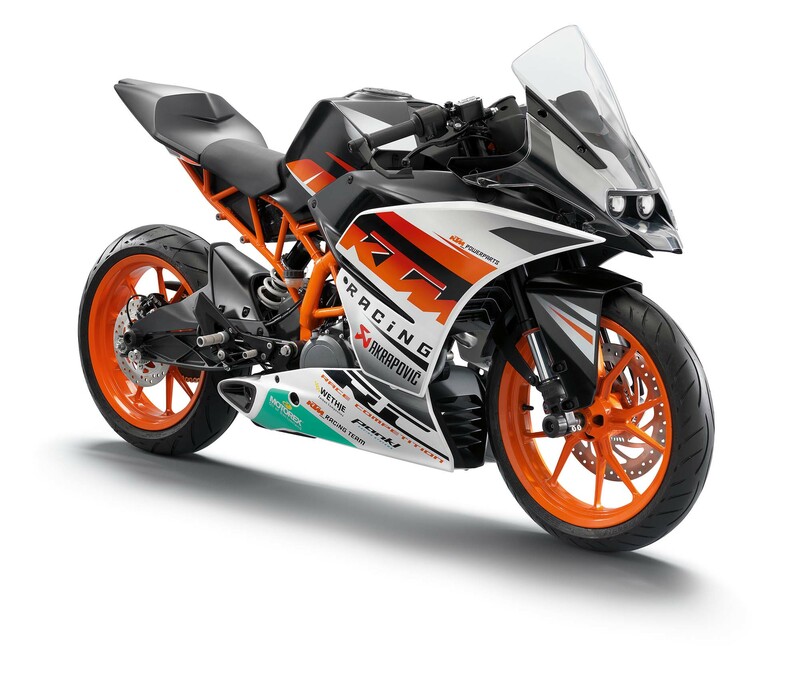 One of the points of conversation ahead of the RC390’s debut was its single-piece trellis frame, which KTM says is much stiffer than the one found on the Duke, and features a more aggressive chassis geometry with a steeper steering head, lesser trail, and shorter wheelbase. 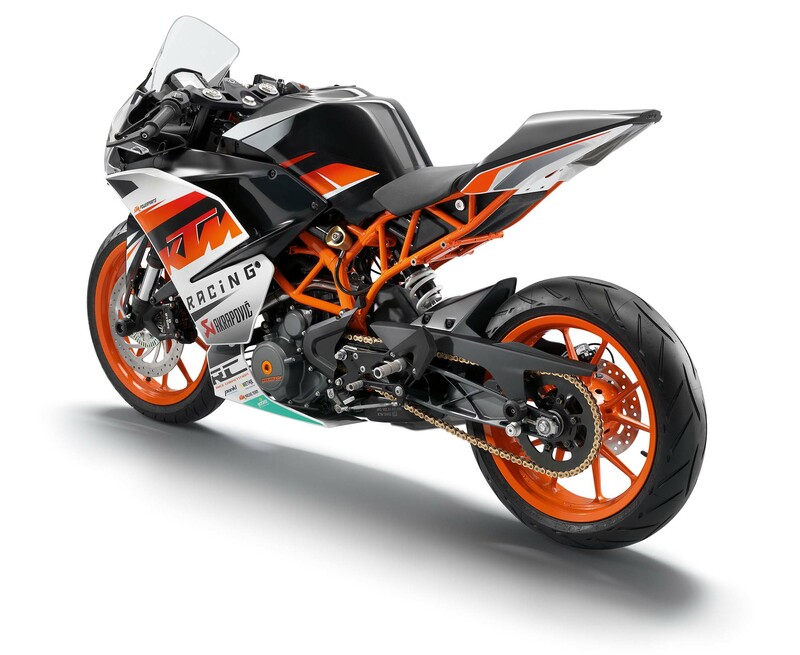 Suspension is by WP, and the brakes were made in cooperation with Brembo, and sport the brand’s generic marque Bybre. 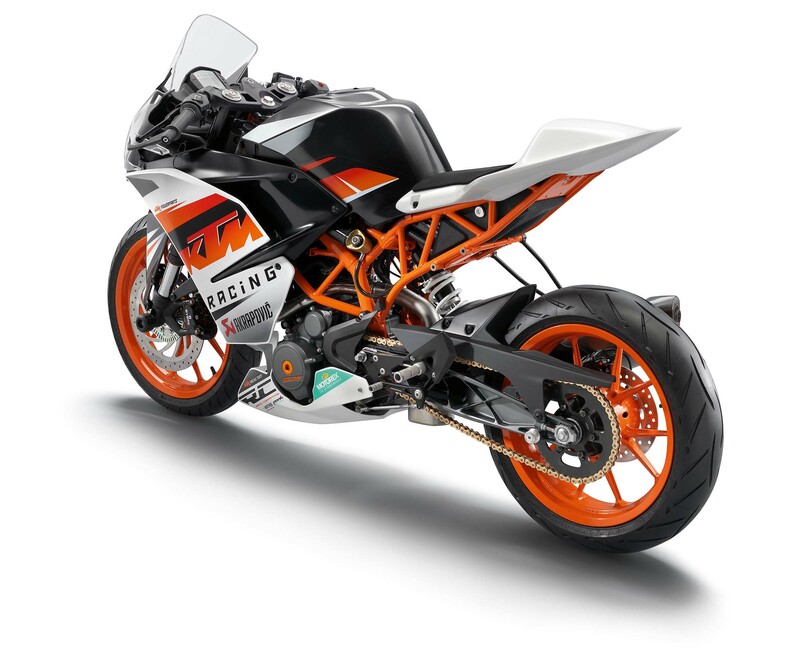 Not an often talked about point, but the 2014 KTM RC390 also features the racer friendly 110/70ZR17 & 150/60ZR17 tire sizes, which continues KTM’s “ready to race” philosophy. 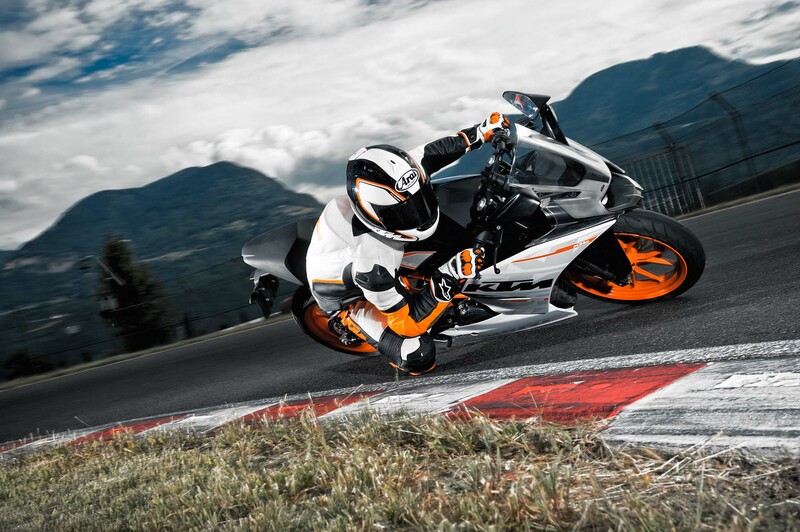 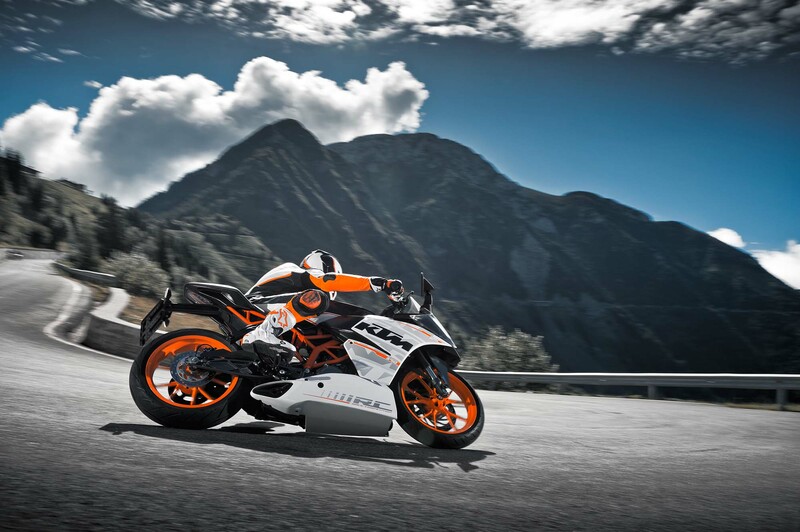 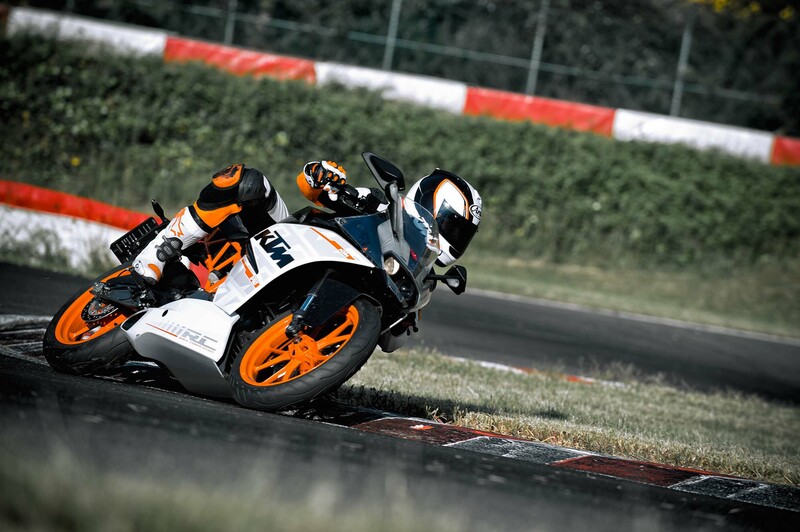 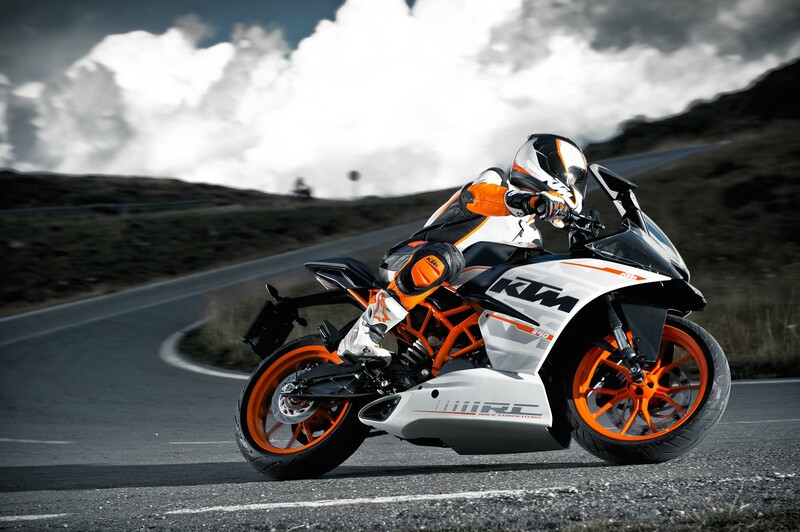 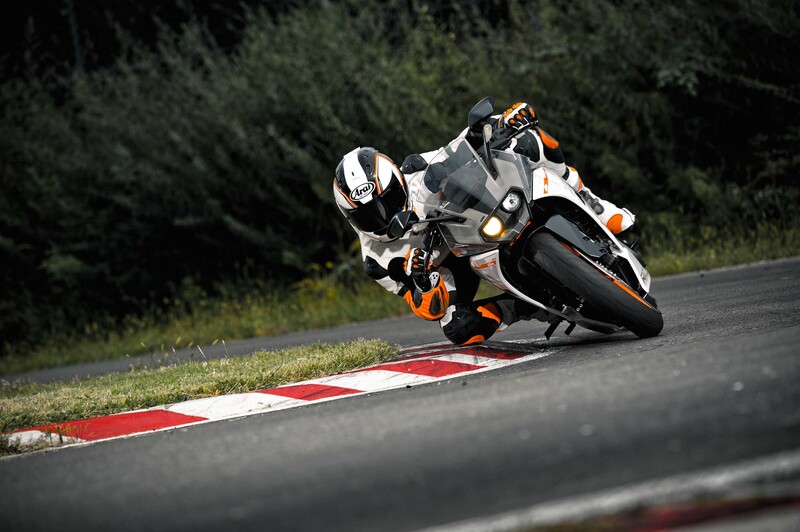 KTM says that the 2014 KTM RC390 will be available in the summer next year, with pricing set to be under €6,000. 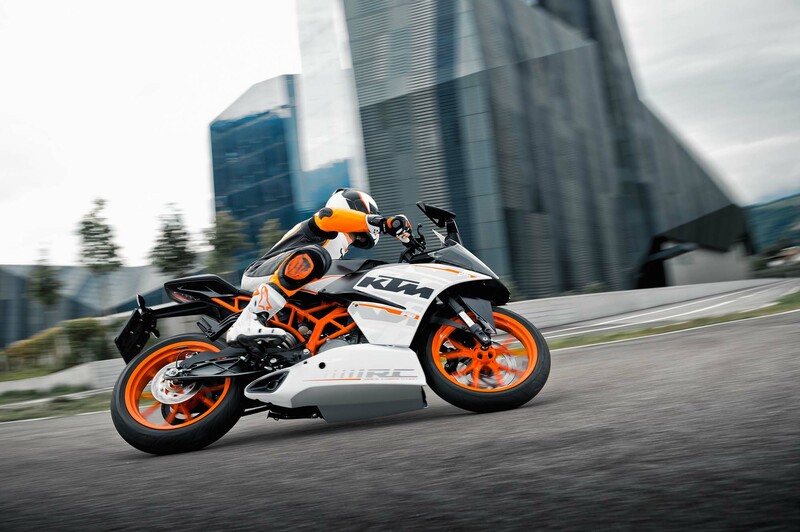 No word yet on availability in America, though somehow we doubt that we will see the machine in 2014.